Scott Lewis’s love affair with DJing began back in 1997 at age 17 when he became embroiled in house and techno from the likes of the Prodigy and The Chemical Brothers along with music from DJs like Tall Paul and Jeremy Healy. He cemented his passion for dance music at the same place many of his generation would vouch as their main influence; Liverpool’s clubbing institution, Cream. Here, he absorbed the sounds of a plethora of DJs including the solid grooves of Jon Carter, the blistering beats of Timo Maas and the big room sounds of Seb Fontaine and Sasha. This along with the deeper Chicago sound emanating from The Annexe all inspired him to create sonic tapestries of his own. Scott held down residencies in his hometown, but was soon playing gigs at some of the most renowned nights throughout the North-West and beyond, developing and maturing his sound and style along the way. In 2007 Scott chalked up appearances at the Circus and Chibuku afterparties as the resident DJ, playing alongside luminaries such as Yousef, Green Velvet, Jesse Rose, Claude Van Stroke and Justin Long, impressing the dance floor with energetic mixes from the darker shades of house, often dipping in and out of the worlds of techno and acid. In April 2007, he beat off tough competition to be crowned champion of the iDJ raw talent competition, with iDJ calling the mix, “…an hour of the type of mean and jacking techno, electro, acid and dirty house that strobes and sweaty cellars are made for”, and receiving plaudits from judge Nic Fanciulli along the way. Rapidly becoming one of Liverpool’s rising stars, 2008 saw him notch up DJ slots at legendary club night Circus, as well as at a clutch of the most innovative and exciting club nights the city boasted. 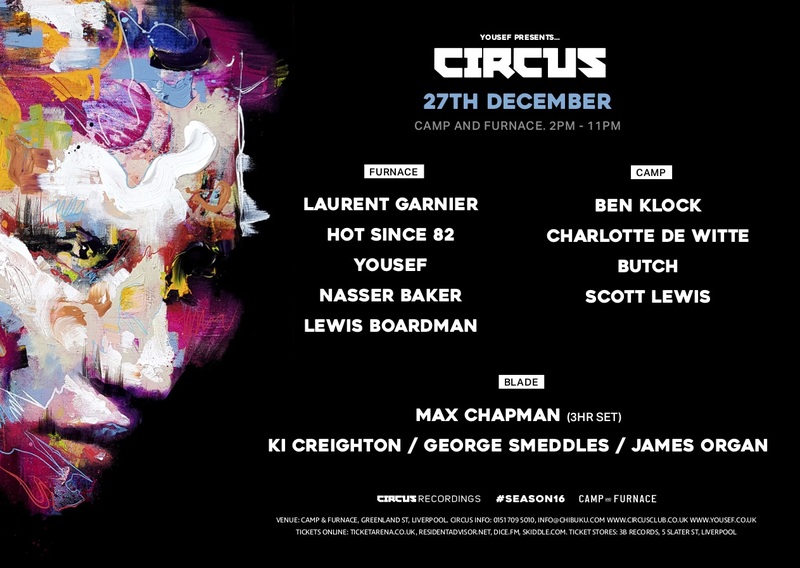 In 2009, Scott became a regular at Circus and became one of the resident’s in 2010 playing alongside, and warming up for a who’s who of the dance scene including Yousef, Steve Lawler, Ricardo Villalobos, John Digweed, Tim Green, Derrick Carter, Claude Von Stroke, Fergie, Paul Woolford, Heidi and Cassy to name a few. He also kicked off proceedings in the legendary Courtyard at Nation when Cocoon came to town, as well as playing at the epic Radio 1 500th Essential Mix Party at Circus’s home, The Masque, on the same bill as Richie Hawtin, Sasha and Pete Tong. Playing strictly house with a relentless solid groove, he has forged an inimitable style of his own. Copyright © 2017 Circus Club.